If you have been researching school options, you may have come across charter schools and questioned if they would be a good place for your child. There are many myths about charter schools that should be addressed, to help you make a well-informed choice. If you have heard that charter schools are too expensive, only for the rich, or only for academic achievers, read on to dispel these myths and be able to evaluate charter schools based on facts. 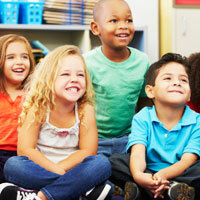 A charter school could be the perfect place for your child to start or grow in their education. This is probably the most common misconception about charter schools, that they are not public schools. They absolutely are public schools, and receive similar (not always identical) funding from the state. The definition of a public school is that it is tuition-free, open to all students without discrimination, held to federal and state standards, and publicly funded based on student enrollment. Charter schools check all of these same boxes, and they absolutely are public, not private, schools of choice. Charter schools are held to the same standards as other public schools in their districts. New Vision Charter School adheres to the same standardized testing as the rest of the Thompson School District. The belief that charter schools can teach whatever they want without any accountability is simply not true. While charter schools may take a different approach than a local public school, they are judged on the same testing standards. Charter schools usually have grown out of a grassroots movement by parents, and parents are often closely involved in the workings of charter schools. In this way, charter schools become more accountable to the parents and the community which they serve. New Vision Charter School was born out of the desire of a group of parents to provide an excellent education for their children. New Vision Charter School remains committed to upholding the original hopes and dreams on which it was built. As stated above, charter schools are tuition-free and are open to all students. Charter schools are schools of choice, which means unlike your neighborhood public school you must opt-in. Charter schools do not discriminate based on income or socioeconomic status, and usually use lottery systems to fill available classroom spots. The misconception that charters are a place for only the rich is completely untrue. The National Alliance for Public Charter Schools states that 56% of students enrolled in charter schools are from low-income families. This is actually higher than the average for district-run public schools. Again, since most charters use a lottery system or a waiting list with first-come, first-served, there is no “handpicking” of students. All students are welcome, and the goal of charter schools is to foster learning and academic growth, not only to have the “best” students. According to Federal law, charter schools must accept all students, including English learners and children with disabilities. Charter schools are open to all students, and many parents find them to be the best choice for their child. The belief that charter schools get more money than traditional public schools is false, and actually, charter schools usually receive LESS money per pupil. While charters still receive government per-pupil funding, there is often no public funding for facilities. The idea that charter schools receive more funding than other schools is completely untrue, and charters often outperform their better funded neighbor schools with fewer resources. The myth that charter schools are underperforming traditional public schools has also been proved to be untrue. Many studies have shown charter schools to outperform their traditional public school counterparts, as shown in a 2013 CREDO (Center For Research on Education Outcomes) study. Many charter schools have additional instructional hours that help provide a great education. Charter schools also have more flexibility in hiring their staff, and can ensure that their teachers are the most qualified people for the job. Hopefully these facts about charter schools can clear up any misconceptions you may have had. Now that you have more information about charter schools, you can make a well-researched decision about your child’s education. New Vision Charter School in Loveland exists to produce high achieving model citizen through a content rich educational program. If myths about charter schools have been holding you back, hopefully this information has started you on the path to a clearer educational decision for your child. 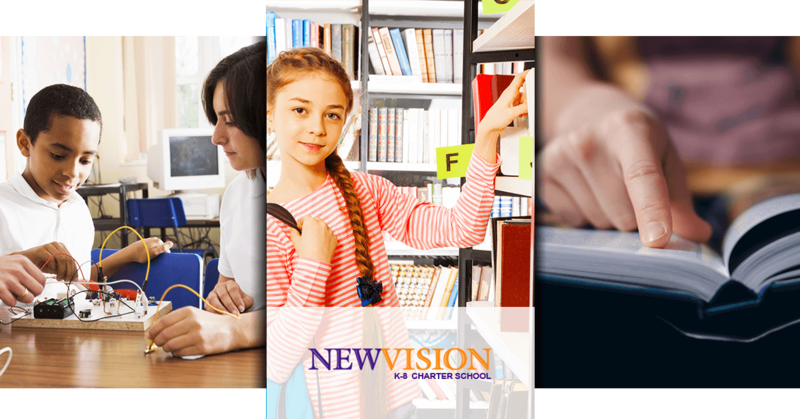 Contact New Vision Charter School to go to an informational meeting, or get a tour, and find out more about how our school could be the perfect educational fit for your child.